From its opening in 1998 on the Seminyak beach, the Rip Curl School of Surf quickly gained the reputation as the finest surf school in Bali, twenty years later and having taught more than 300,000 visitors to surf, kite, wake and windsurf . 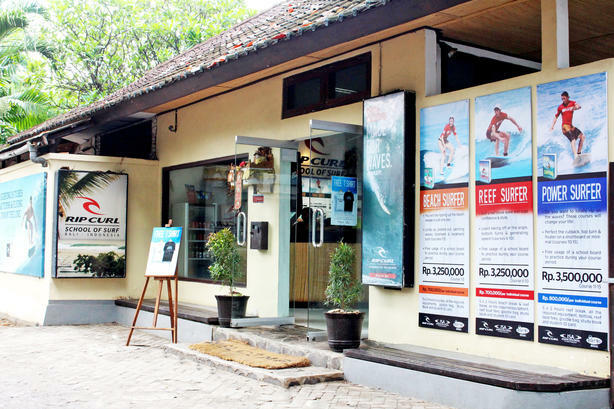 The Rip Curl school of Surf, Bali now operates from three locations enabling the Rip Curl School of Surf students to have the best conditions wet or dry season. The Rip Curl School of Surf programs are internationally renowned for their thoroughness; essential transfer of knowledge, made easy through professional program study books, as well as simple to follow techniques taught by our certified foreign and local instructors. The Rip Curl School of surf is simply your best choice for discovering wave, wind and all ocean sports a like. Next to Double Six beach, the Legian school is the largest of the Rip Curl schools, complete with changing rooms, lockers and showers. This is where most of our beginner surfers come to catch their first wave. Our east coast club is at the Prama Sanur Beach Hotel Bali, the perfect spot to access the calm lagoons and coral reefs peppered along this part of Bali’s coastline. 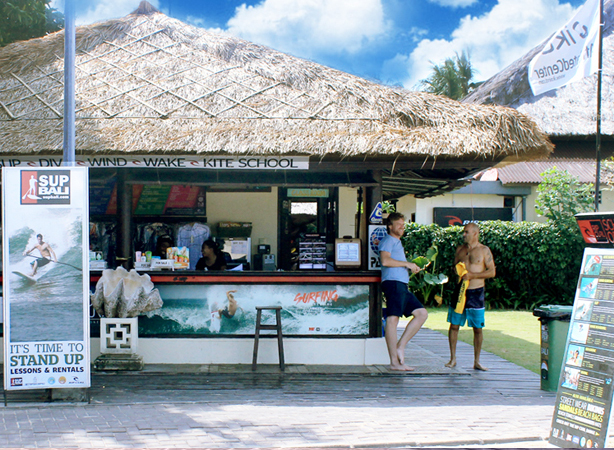 Kitesurfing courses are held at our Sanur club throughout the year.